Hip replacements are relatively common: according to the National Joint Registry, over 85,000 hip procedures were carried out in England and Wales alone in 2012. However, in the 50 or so years since the procedure was first developed, the material used in the replacement hips has evolved. In recent years, concerns have grown over some metal on metal hip replacement models. The implant becomes loose – if the tissue or bone becomes damaged, the implant is more likely to become loose, causing the patient pain, and requiring remedial surgery. Failure rate – replacements that wear away quickly will need to be replaced more quickly, resulting in more surgery for the patient concerned. Concerns like these culminated in the recall of the DePuy ASR Acetabular and ASR Hip Resurfacing System hip replacement models in 2010. Other types of metal on metal hip replacement could also be affected. The medical devices regulator, the Medicines and Healthcare products Regulatory Agency (MHRA), advises that patients with larger types of metal on metal hip replacements should be checked every year, to make sure that everything is still working properly. Patients who seem to be demonstrating the symptoms of a defective hip replacement, or who are showing a rise in cobalt levels, will usually be offered an MRI or ultrasound scan. If your doctor has contacted you about possible problems with your metal on metal hip replacement, requested that you undergo a revision operation or if you are experiencing discomfort with your metal hip replacement, it is worth getting in touch with one of our compensation lawyers to see if you are entitled to make a claim. 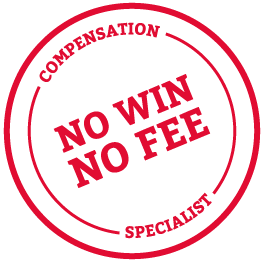 Thompsons Solicitors is a multi-award winning firm of no win no fee compensation lawyers, who will help you get the maximum possible compensation in the shortest possible time. We are rated number one by legal directory “Legal 500”, which means that we have recognised expertise in compensation law, including hip replacement claims. If you are not sure whether you have a valid claim for compensation, why not give us a call on 0800 0891331 and talk things over with one of our experts. There is no obligation, and we have a no win no fee package available if you wish to take things further.